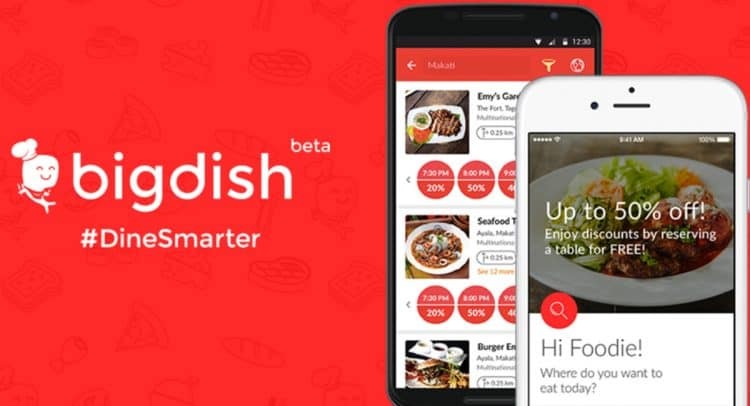 BigDish Plc (LON: DISH), a food technology company that operates a yield management platform for restaurants, is pleased to announce a partnership with Loud Mouth Media. Further to the announcement on 28 February 2019, the Company has selected Loud Mouth Media, a multi-award winning digital advertising agency, as a partner. Loud Mouth Media specialises in Performance Marketing, across Pay Per Click (“PPC”), social media advertising and Search Engine Optimisation (“SEO”), providing a fully-managed service. As Google Premier Partners, the team of specialists at Loud Mouth Media will be working closely with their Google support team to drive campaign performance, app promotion and building the BigDish brand and usage across the UK. The team come armed with a wealth of experience in helping brands grow with a huge focus on results. “From our first conversation with the team at BigDish, we wanted to work with them. The potential for the BigDish brand to take hold of the UK market is huge and we are confident with our team of specialists we are best placed to help them to do just that”, stated Mark Haslam, Managing Director of Loud Mouth Media. This announcement comes just as Loud Mouth were once again recognised for their work at the UK Biddable awards where they picked up Best Campaign in Retail, Best Use of Video and Small Biddable Agency of the Year 2019. Loud Mouth Media also hold the title of Best Small PPC Agency in the UK for two consecutive years at the UK Search Awards. The Company will gather data from the consumer marketing campaigns over the second quarter with a view to determining the most effective channels as well as the Customer Acquisition Cost. This data will in turn be useful over time to determine the Customer Lifetime Value, which will determine how much profit will be generated over the lifetime of the customer. This will enable more effective forecasting and business planning. Further to the announcement on 28 February 2019, Southampton has now gone live, with new restaurants continuing to be added. The Company expects to expand into Territory Three in April or May, beginning with Brighton. Further towns that will form part of Territory Three will be identified in due course. BigDish is also considering expanding into Exeter in April or May as part of Territory Two. The Company is building a ‘launchpad’ to rapidly grow across the UK. The three components of the ‘launchpad’ are technology, restaurant acquisition strategy and customer acquisition strategy. Big Dish’s technology platforms are well advanced and are predominantly ready for scale although new features will be progressively rolled out. The new UK consumer website is on target to go live at the end of March. The restaurant acquisition strategy has been refined over the past couple of months and is ready for scale. This is largely driven by the recruitment of Territory Managers. The current focus is on independent restaurants and small groups. Conversations are also taking place with large restaurant groups which have a longer sales cycle. It is expected that as the year progresses larger groups will partner with BigDish.